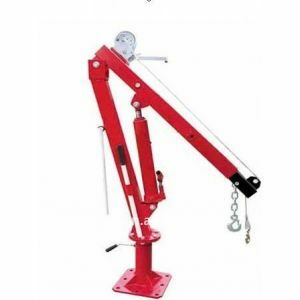 Only one person can operate and use this hoist with ease. 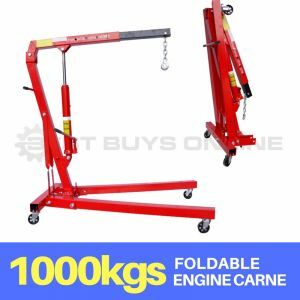 Keep it in your workshop, at the back of your ute or truck. 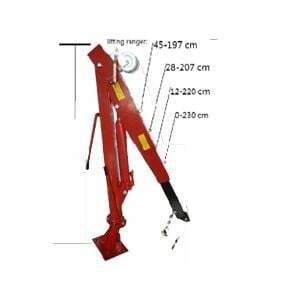 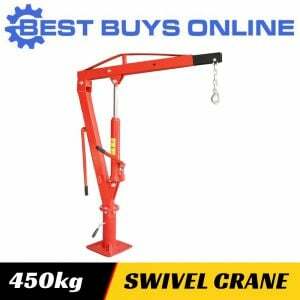 This swivel crane is made of sturdy steel. 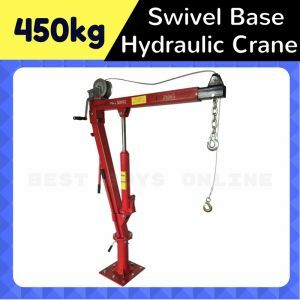 The base of the swivel which needs to be bolted is 270mm x 270mm. 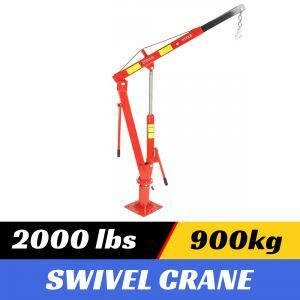 The swivel can be locked if needed to keep the load in place. 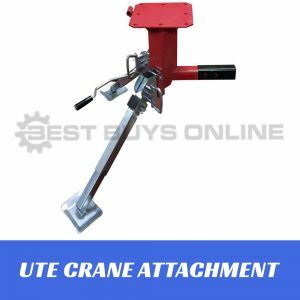 450kg Lifting Capacity Base with Lockable Swivel 360 degree for limitless operation. 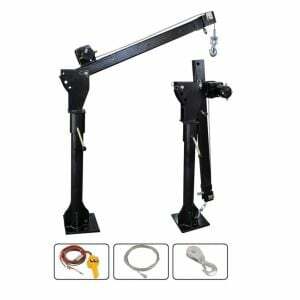 Working Angle Safety Hook Hand Winch included.